Early twentieth-century lyric poet who published her well-known poetry collection, Rivers to the Sea, in 1915. 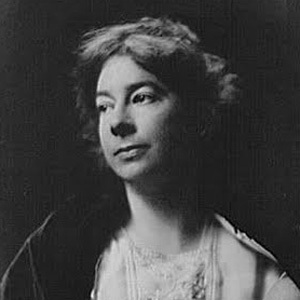 The first female recipient of the Pulitzer Prize for poetry, she received the honor for a 1917 collection entitled Love Songs. She published her first poetry collection in 1907, at the age of twenty-three. Her 1915 work, Rivers to the Sea, contains a famous poem entitled "I Shall Not Care." She was born in St. Louis, Missouri. She married Ernst Filsinger in 1914; the couple later divorced. She was a friend and one-time lover of poet Vachel Lindsay. Tragically, both she and Lindsay committed suicide (two years apart).